Stream New York band IGBO's new single "First Impression" off of their debut album Attitude. NY duo Igbo debut Indigo Green Brown Orange, a freewheeling six-track project featuring star young players. 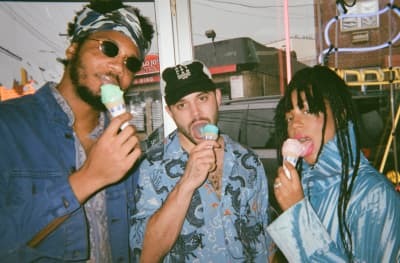 Stream IGBO's new dream funk single "Gimmie Gimmie" featuring 10ille and Empress Of. NYC funk duo IGBO debut "Entrance Theme" video.